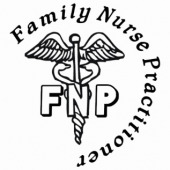 Family nurse practitioner (FNP) is a specialty within the nurse practitioner field. FNPs diagnose and treat family health conditions, and they educate patients and families about diseases, conditions, and preventative care. Family nurse practitioners work in physicians’ offices, hospitals, outpatient care centers, colleges and universities, and home healthcare services. While FNP salaries vary by geography, healthcare setting, and level of education, they are consistently among the highest-paid nurses in the healthcare industry. The typical FNP earns an annual salary of approximately $93,000; top performers can earn more than $110,000 per year. A career as a family nurse practitioner begins with licensure as a registered nurse (RN). Nationwide, there are over 2,000 state-approved education programs for aspiring RNs. Candidates can pursue one of four pathways: hospital diploma, associate’s degree in nursing (ADN), bachelor of science in nursing (BSN), or direct-entry master of science in nursing (MSN). All programs prepare students to pass the National Council Licensure Examination (NCLEX), a mandatory requirement for licensure in all states, the District of Columbia, and U.S. territories. Aspiring family nurse practitioners must then pursue graduate education in their specialty field. Most will complete an MSN degree in family nursing; some go on to earn a doctor of nursing practice (DNP) or doctor of philosophy (PhD) in nursing. Hundreds of graduate-level programs are available, and many offer the FNP specialization. Graduates must then pass a certification examination. The American Academy of Nurse Practitioners offers a Nurse Practitioner-Certified (NP-C) credential in the field of family nursing. The American Nurses Credentialing Center offers a Family Nurse Practitioner-Board Certified (FNP-BC) credential. You can advance your nursing career by enrolling in an accredited MSN program with an FNP focus. Browse our directory to find the best graduate nursing schools in your local area.